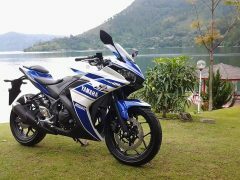 Yamaha Indonesia has officially unveiled the Yamaha YZF-R25. 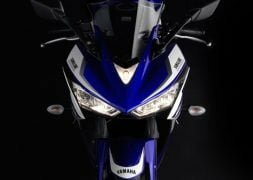 The bike is expected to be announced for other markets including India; The company does not have any offerings in this segment in India and the R25 could be a great addition. People in India has been following developments of the R25 closely and if Yamaha works fast, they could tap into this customer base. 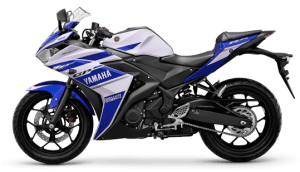 In short, the bike features a twin-cylinder, fuel-injected, 250cc engine which delivers its peak power at around 12,000 RPM (!) 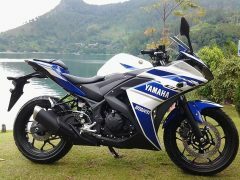 and features styling borrowed from the YZF-M1 MotoGP bike. 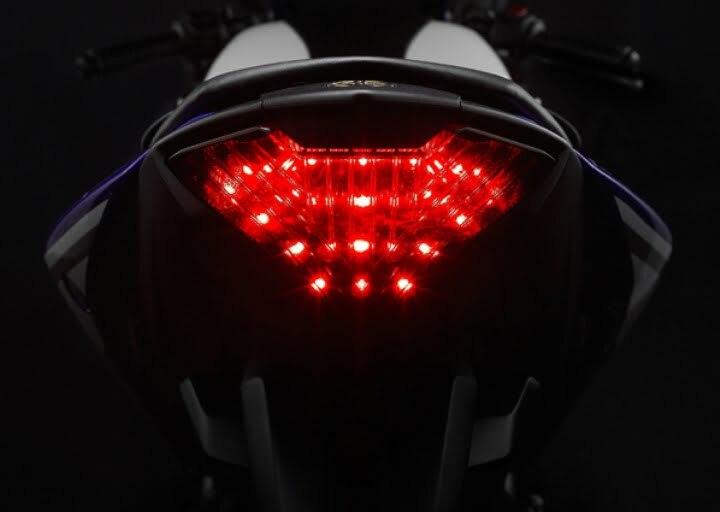 It features twin-headlamps at front, a full-fairing, a slim tail ending with LED stop-lamps. 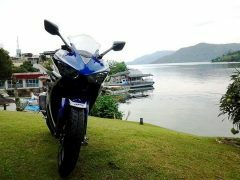 Other mechanicals include a diamond frame, 6-speed transmission, telescopic front suspension, mono rear-suspension etc. As you can see from the image above, the Yamaha R25 is a very sharp looking bike. The front is dominated by the twin-headlamps, with an air-duct between them and a triangular guide lamp on top. Move to the side and you notice the full-fairing, split seats, stubby exhaust, the alloy wheels and the big tank (it stores about 17 litres of fuel). 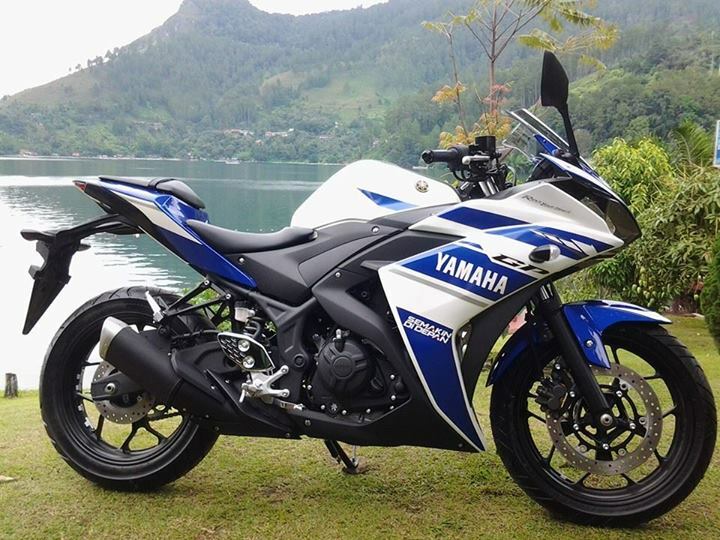 The rider position is very aggressive, very reminiscent of the first-gen R15. The rear is very slim, the body ends with the single LED unit, the plastic number plate holder and mudguard extension is kind of an eyesore. The instrument cluster is digital-analog with shift indicator light, gear position indicator, fuel-consumption indicator, oil-change indicator, trip meter, engine diagnostics, engine temperature and a timer. Moving on to the mechanicals of the bike, the R25 is powered by a parallel twin-cylinder, fuel-injected, liquid-cooled 250cc engine whihc is mated to a 6-speed multiplate-wet clutch transmission (1-down, 5-up), which delivers power to the rear wheel via a chain. 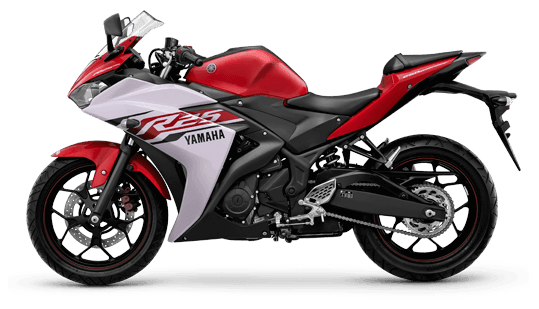 The engine produces 35 BHP @ 12,000 RPM and 22.1 Nm @ 10,000 RPM, a peaky engine this, just like the one on the first-gen R15. Only electric start is provided on the bike. 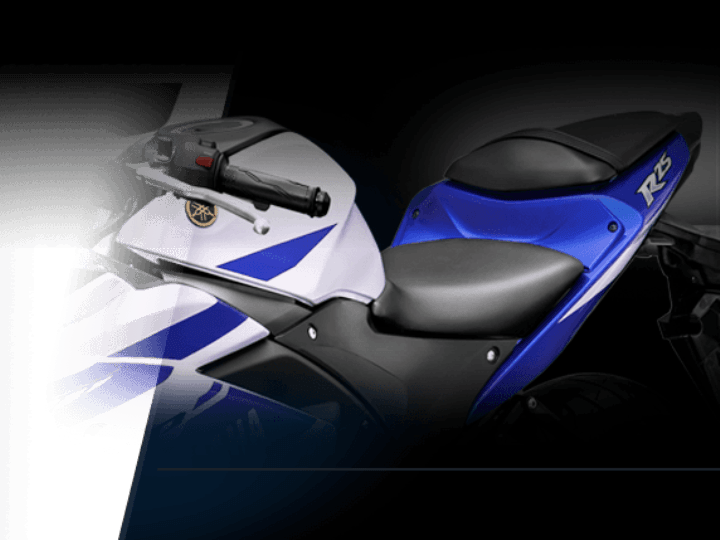 Suspenison duties are handled by 41-mm diametre telescopic forks at front and a mono-shock at the rear. 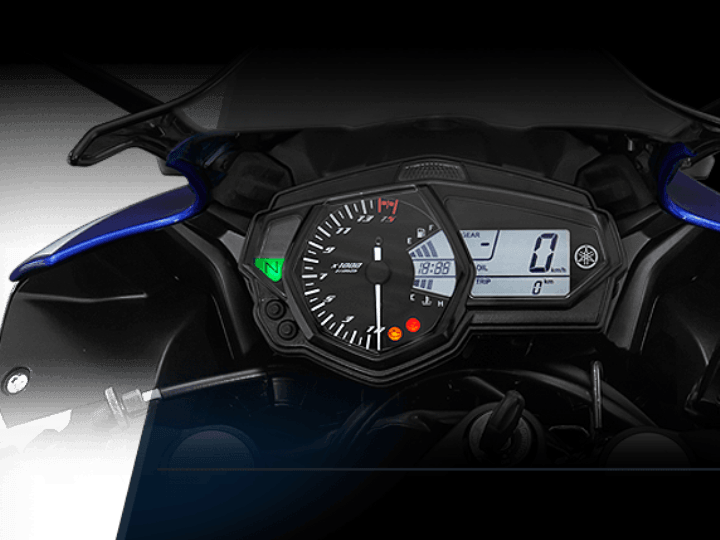 Braking is handles by a 298-mm dual-piston caliper, disc at front and a 220-mm, single-piston caliper disc at the rear. 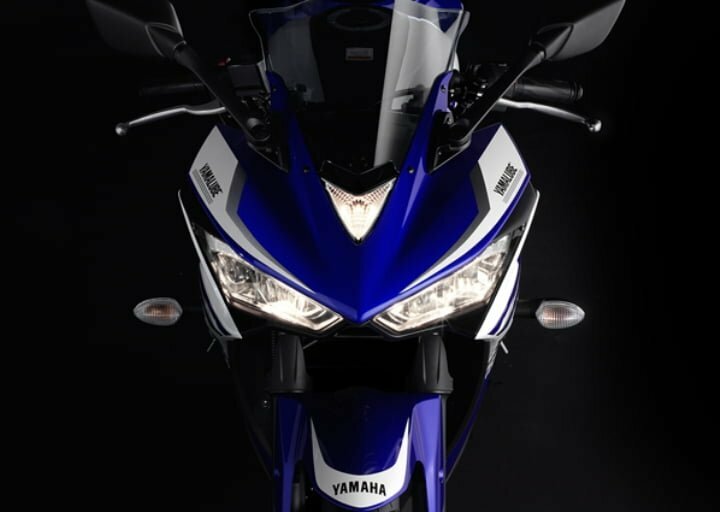 You’ll find 17-inch rims both at the front and rear, shod with 110-mm tyre at front and a 140-mm tyre at the rear. The bike weighs around 166 Kg with all fluids. 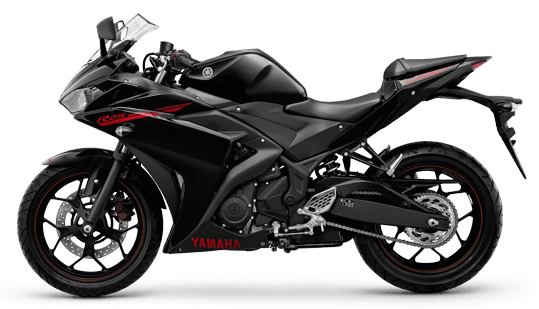 What do you think of the Yamaha YZF-R25? Let us know in the comments section below.